The Mormon Tabernacle Choir has had a relationship with Messiah for many, many years. In fact, the Choir’s first recording in 1910 in the Salt Lake Tabernacle included the famous “Hallelujah” chorus. Over the years the Choir has recorded various selections from Messiah as well as the entire oratorio. In 1959, the Choir’s best-selling recording of Messiah received gold record recognition and it was later inducted into the National Recording Registry of the Library of Congress. On March 4, 2016, the Mormon Tabernacle Choir and Orchestra at Temple Square released a new recording of Handel’s Messiah, edited and conducted by Dr. Mack Wilberg. SALT LAKE CITY — The Orchestra at Temple Square and Temple Square Chorale will join their musical talents for this year’s Spring Concert on Friday and Saturday, April 29-30, 2016. The evening’s performances will be under the baton of Ryan Murphy, associate music director of the Mormon Tabernacle Choir and conductor of the Temple Square Chorale. Update (11/30/18): The "Silent Night" music video, starring Kevin Sorbo, is now available at the conclusion of this blog post. The audio was recorded live during the 2017 Christmas concert of which this story mentions. In case you thought Mack Wilberg was just the director of the Mormon Tabernacle Choir, we’ve got some news for you: in addition to his duties as director—which is a serious job in and of itself—Wilberg is a world-class composer and arranger. The Christmas season is here! Refresh your spirit during the busy season with these 12 videos, featuring the breathtaking arrangements of the Choir’s director, Mack Wilberg. 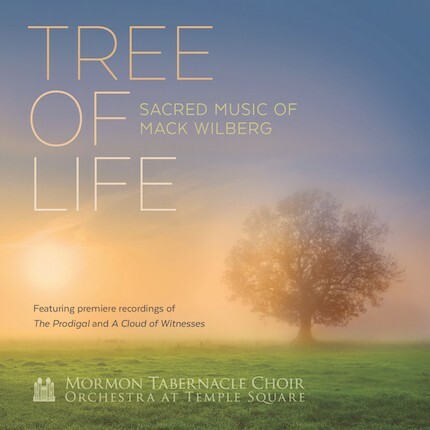 The Mormon Tabernacle Choir’s director, Mack Wilberg, is known around the world for his soul-stirring arrangements, which bring a renewed energy to well-known melodies. The 15 videos below are just a sampling of the hundreds of songs that have been arranged by Wilberg. We’ve all heard “Amazing Grace” sung in many forms, from the country to pop, Celtic to gospel. Artists such as Aretha Franklin, Johnny Cash, Elvis Presley, Rod Stewart and Willie Nelson have recorded it and it has been used in many films and pop culture settings. The hymn is one of the most recognizable English language songs and has been recorded over 6,600 times. "It may be the most recorded song on the planet," said Jerry Bailey, executive at Broadcast Music, Inc., of Nashville. Mack Wilberg, music director of the Mormon Tabernacle Choir, is one of the preeminent composers and conductors choral music today. His music is published by Oxford University Press where he is considered one of their most important composers and arrangers. He has given renewed vitality to well-loved hymns, patriotic anthems, folk music and classics. Rarely is a Choir concert or broadcast without a signature Wilberg tune. Mack Wilberg, Music Director of the Mormon Tabernacle Choir, is in Greenville, South Carolina this weekend to participate in Furman University's Church Music Conference as the featured clinician and Distinguished Lecturer. Wilberg will lead sessions at the conference and conduct a choir made up of conference attendees.